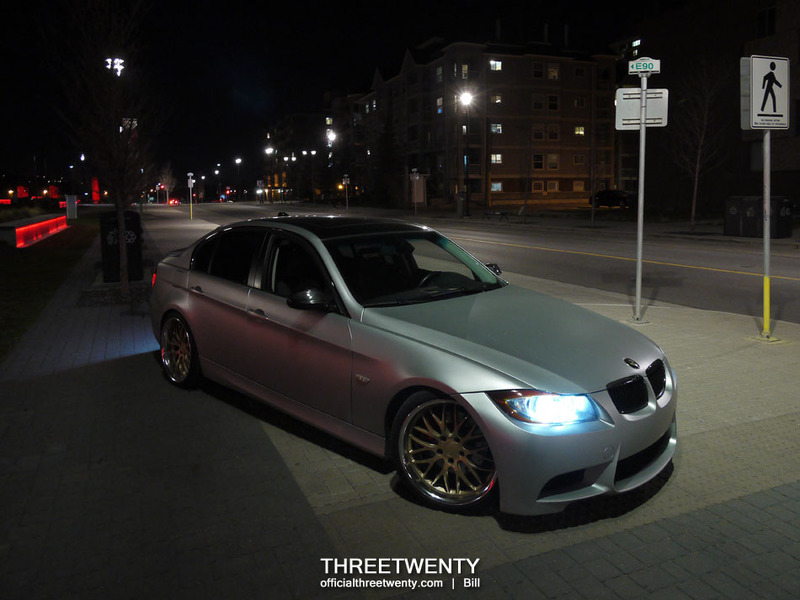 On Sunday I was cruising on Crowchild Trail when I spotted a silver 3 series come into view in my rearview mirror. 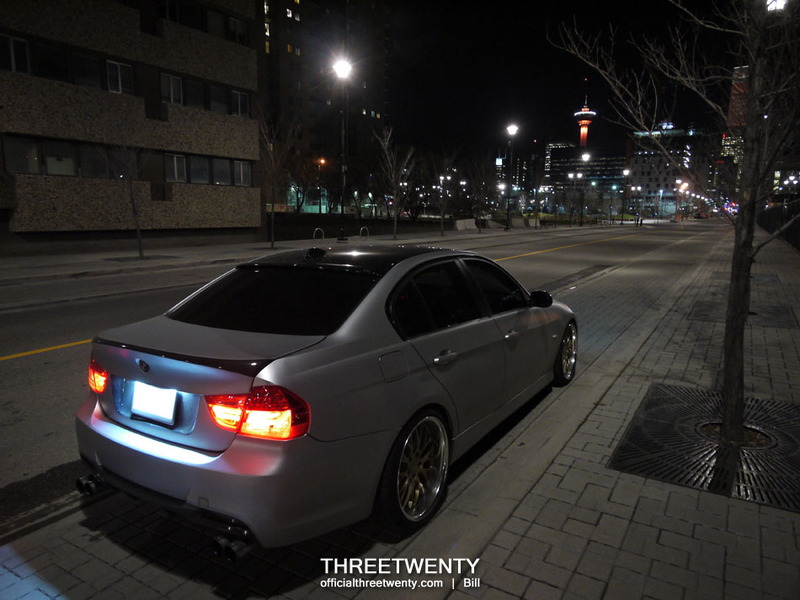 Now, 3 series aren’t exactly uncommon cars here in Calgary so this isn’t an unusual occurrence, but this particular car really caught my attention because I immediately knew whose it was – it was Solomon’s 330xi! It wasn’t long before I had to turn off and we went our separate ways, but it gave me the chance to see his car in person for the first time with its latest modifications as he pulled up beside me, and it looked good. Exchanging texts after, we coordinated to meet up this week so that I could grab a few photos of the car before the winter mode mod was carried out. Last night we met downtown, and after a little scouting found a good location. 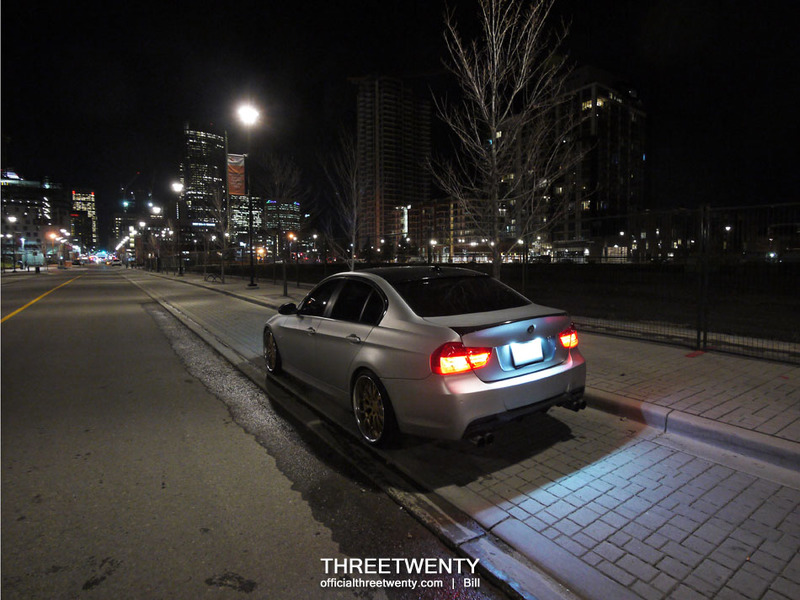 Last October, when I posted a feature on Solomon’s E90, I closed with a hint as to one of the modifications coming for it with three letters; LCI. 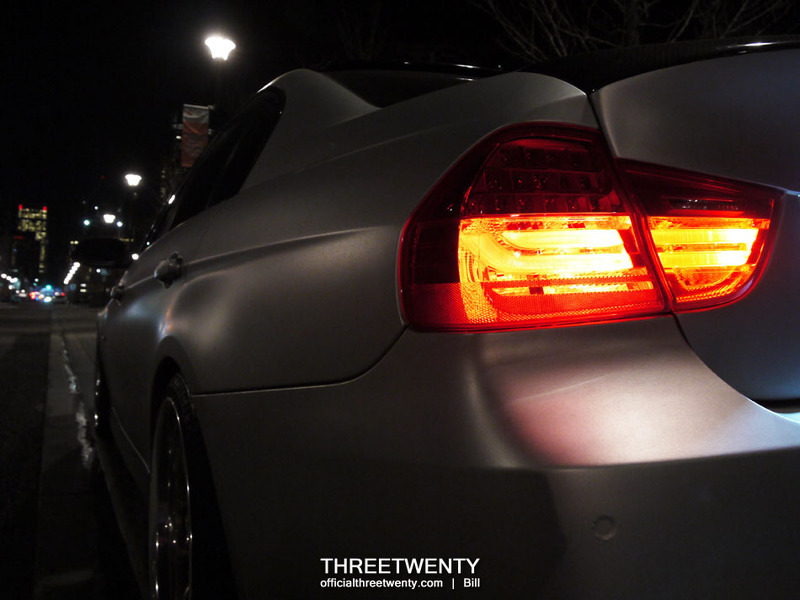 In BMW language, Life Cycle Impulse (LCI for short) refers to the facelift that cars receive partway through their production run. 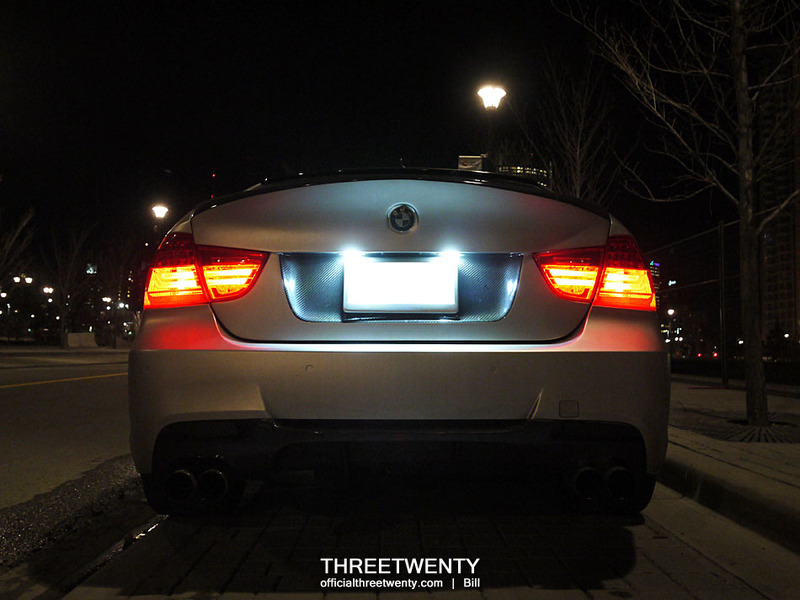 When the E90 platform was updated, one of the changes was a new set of tail lights and for pre-LCI cars like Solomon’s, the swap is a great way to update the appearance. 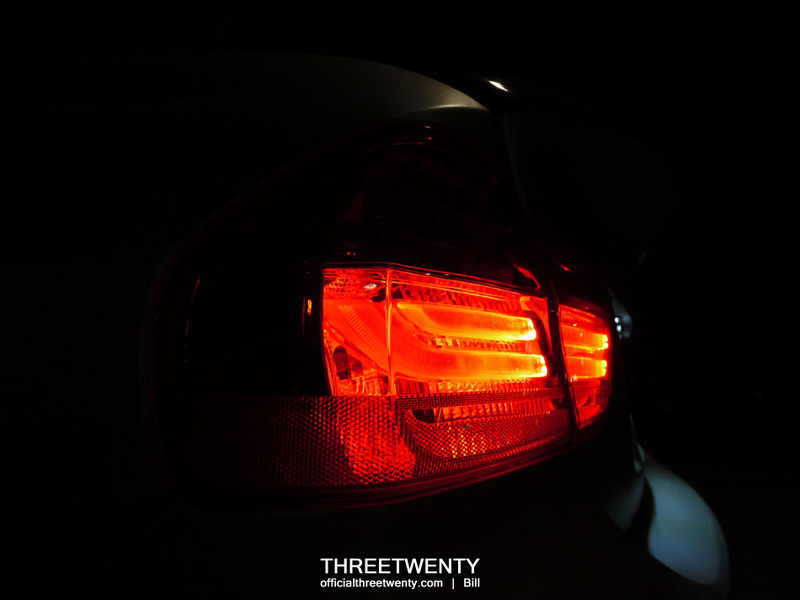 The LCI tail light conversion requires a new trunk lid due to the inner lights being a different shape, so Solomon replaced the stock piece with a carbon fiber lid from RennCarbon at the same time. Most of it was wrapped in matte silver but a bit of weave was left exposed, around the license plate and along the edge of the CSL-style lip. 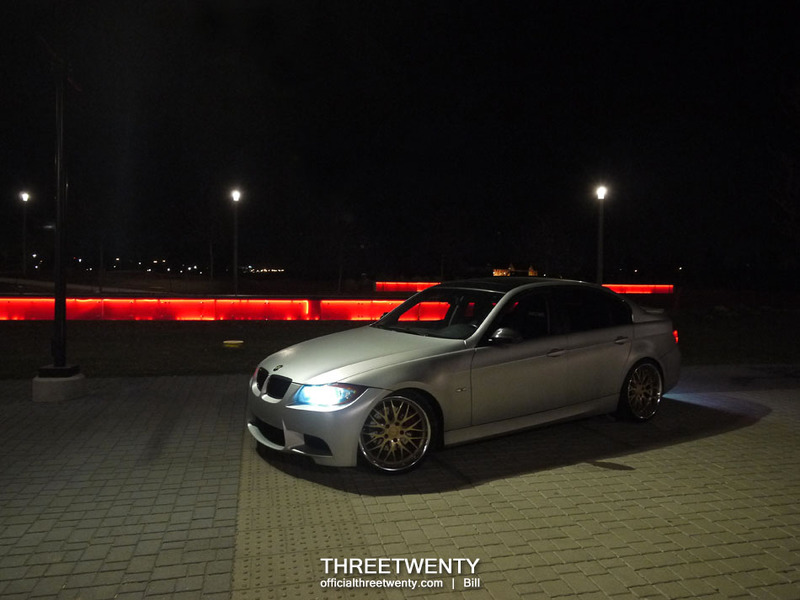 The wheels are new too – 19″ Work Gnosis, 9″ wide at the front and 10.5″ out back. 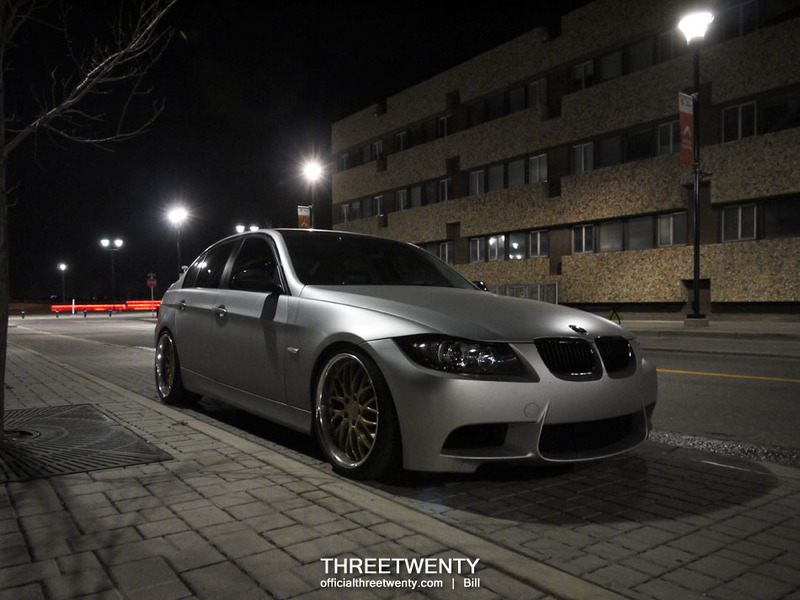 They replace the silver 18×9.5 Varrstoen ES1s the car wore last summer. When I saw it rolling on Crowchild I couldn’t believe how much the wheels and rear LCI conversion had changed the look of his car. The gold faces of the Works against the matte silver body are a winning combination, and it looks much more aggressive with the new trunk and lights. There was one more visible change that I didn’t pick up on though, and that’s the return of the black roof. As I mentioned in the original post, wrapping or painting the roof black is a common modification for these cars, but with Solomon’s car being black originally he could achieve the same effect by leaving the panel unwrapped. With the car’s appearance being updated, Solomon also increased the performance a little bit. Along with the ram air scoops, exhaust, tune, and other modifications previously fitted, new ActiveAutowerke headers have also found their way into the equation now. After the shots above were captured, Solomon moved his car down to the end of the street for a few more. When editing came, for fun I hid an easter egg in this photo – can you spot it? Solomon did. It was getting a bit cold out so we didn’t stay for too long, but it was fun to hang out and I found a location that I definitely want to return to for future photos. I put away the camera and Solomon got his car off the sidewalk, and we both headed home. I was excited to see how the photo above turned out as it was my favourite of the bunch, and since I was up going through these anyway I decided I’d edit them all right away. 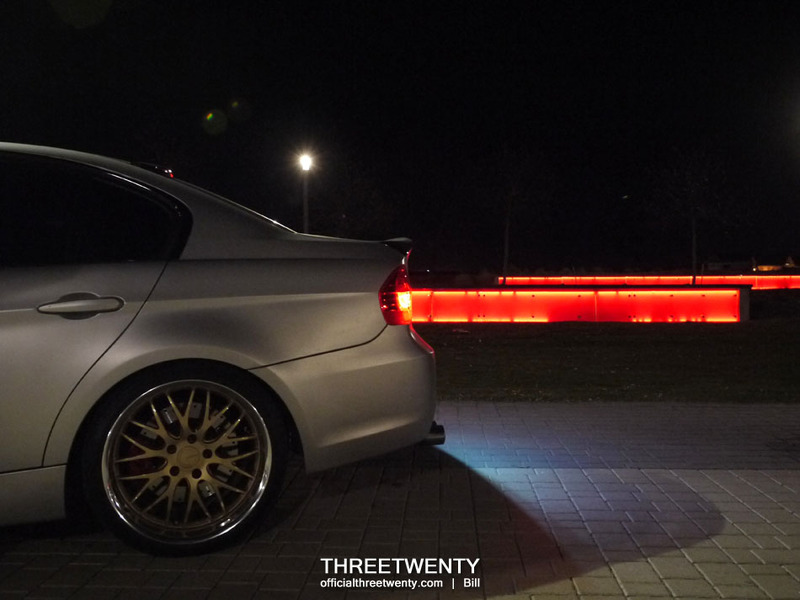 I hope you enjoyed this little update on Solomon’s E90!